I deleted the section about 3rd party product you have mentioned. It is strictly forbidden to talk about products that are not related to us here. 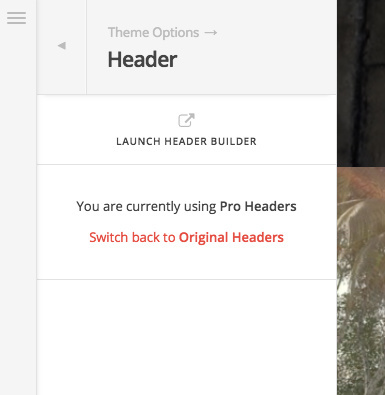 Please consider that the screen you see clearly mentions that the Theme Options > Header section will not work for you if you use the Header Builder. and you do use header builder now. I strongly suggest that you read the Pro section of our knowledgebase to have more information about the case.